In a homecoming of sorts Rolex has signed Tiger Woods, after he was dropped by TAG Heuer in the wake of his divorce. 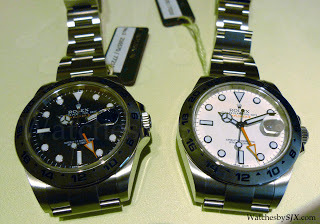 Tiger Woods was once the ambassador for Tudor (remember the Tudor “Tiger” chronographs? ), before joining TAG for a much bigger fee. I doubt this means a Rolex “Tiger” Explorer II though.